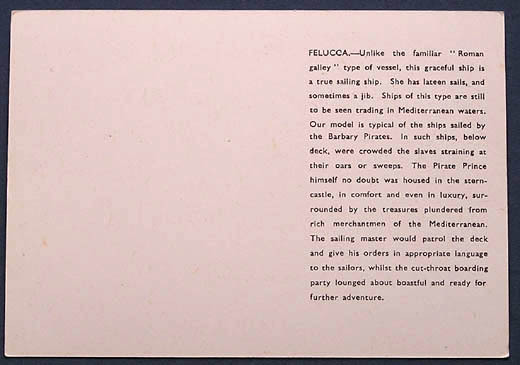 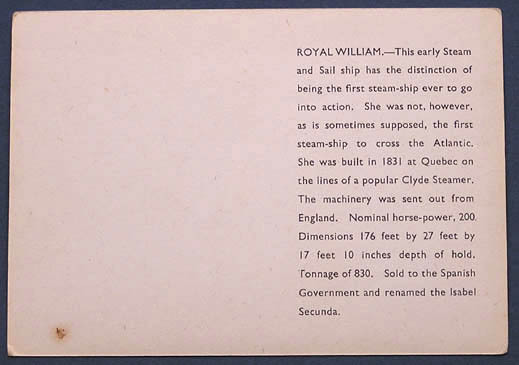 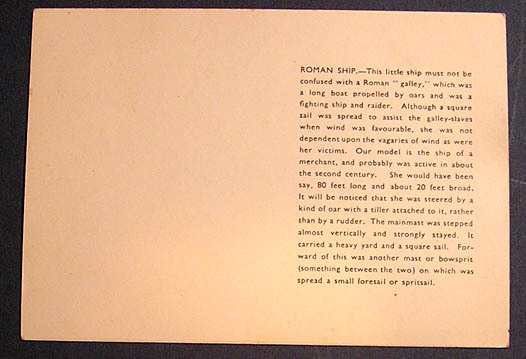 Description Most likely issued in late 1940 or early 1941. 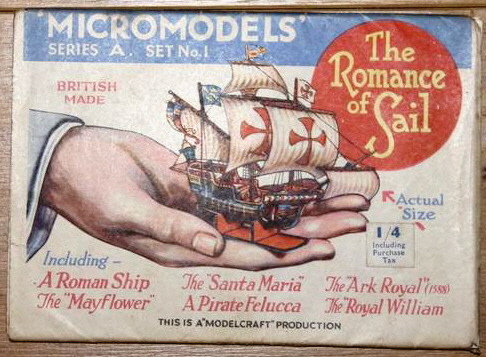 No mention of it being a Modelcraft production, priced at 1/-d.
Modelcraft printed in blue under the main Micromodels header, priced at 1/-d.
Modelcraft Production sentence printed in black at the bottom of the sleeve, priced at 1/4d with a sticker (two different stickers, a red and a blue one). 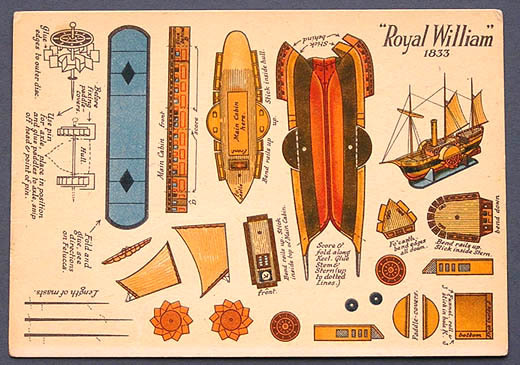 All the designs of these ships were taken from Modelcraft plans available at that time. 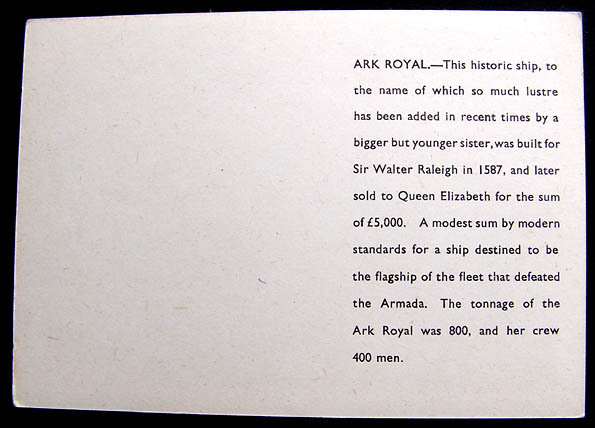 As with sets B1, C1, F1 and H1 the cards were varnished to protect the finish. 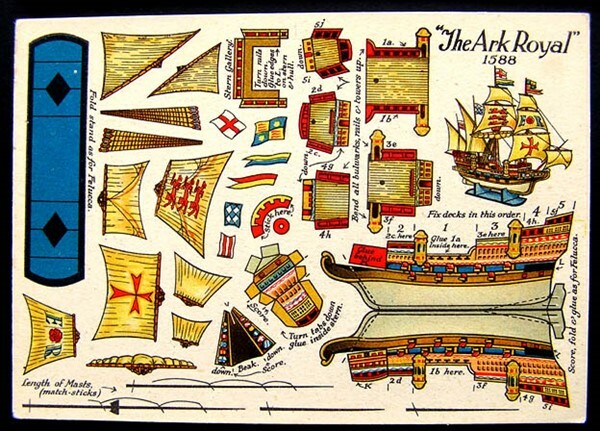 This varnish has matured over the years giving the cards a pale brown tinge. 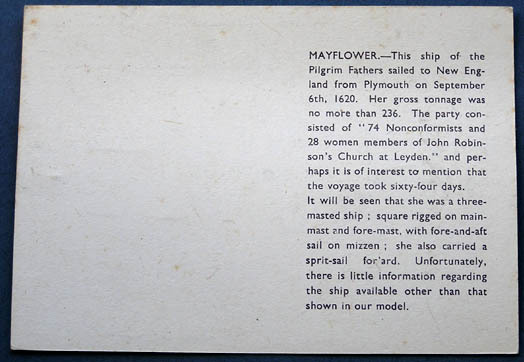 Each card carries printed text on the reverse. 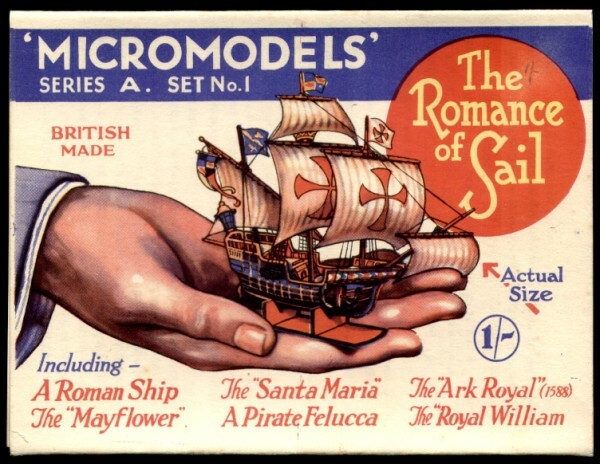 This set is Heighway’s first commercial attempt at micromodelling and is expertly drawn. 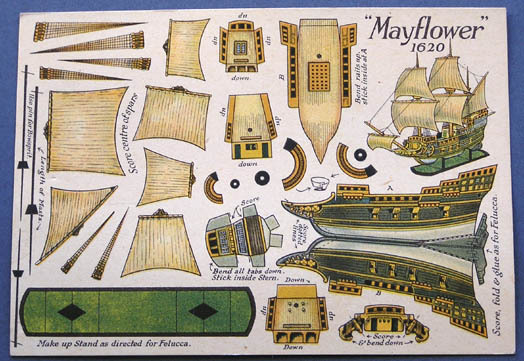 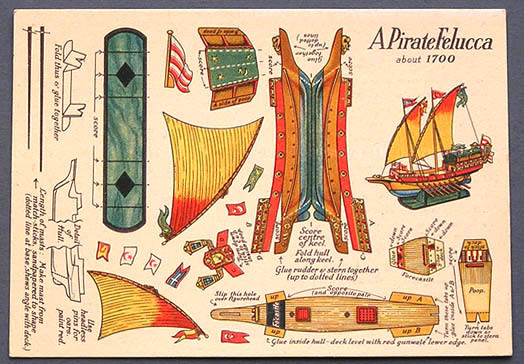 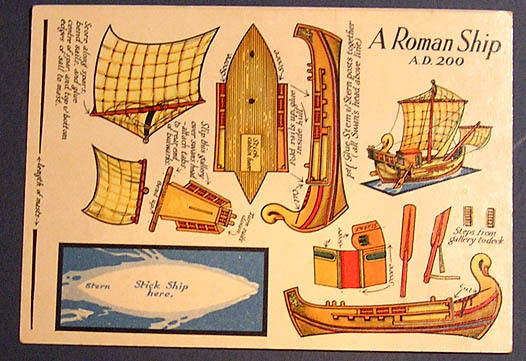 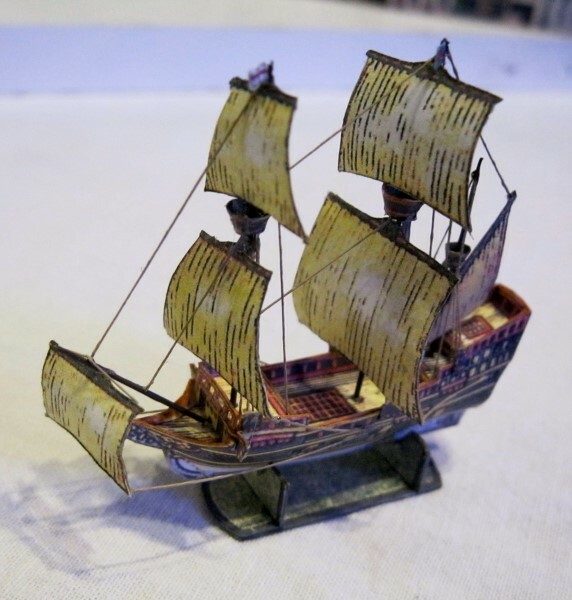 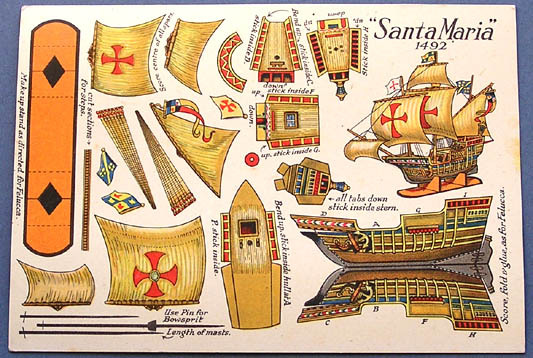 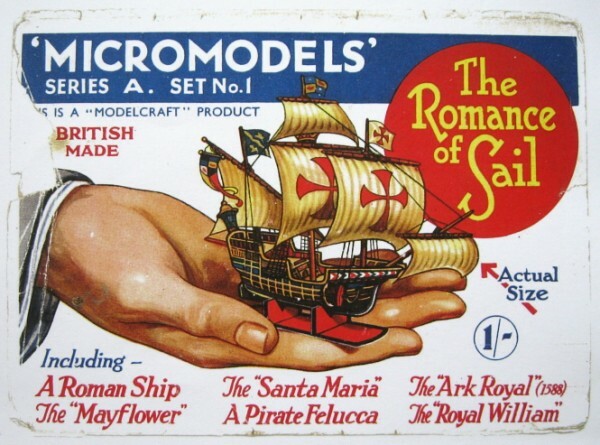 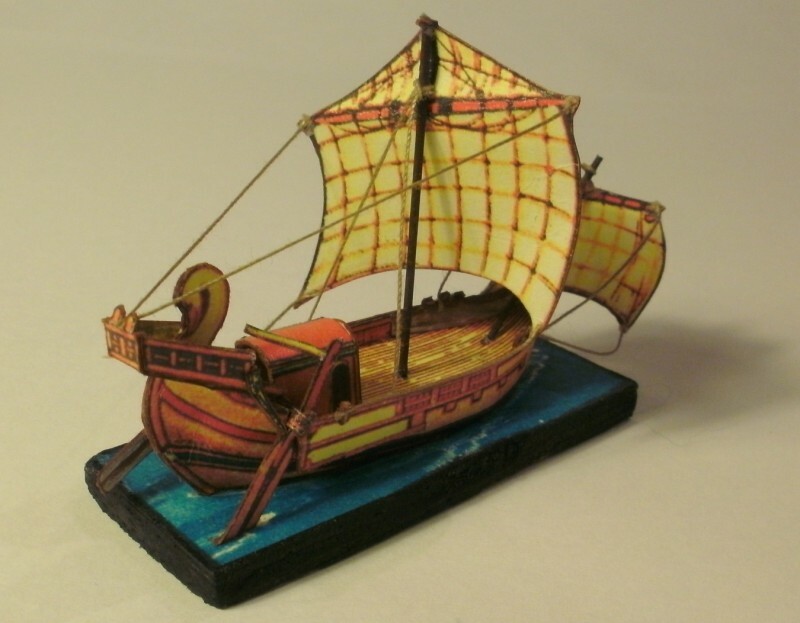 After the war, in 1948, this set was re-issued by Micromodels Ltd. as “Six Little Ships & Galleons“. 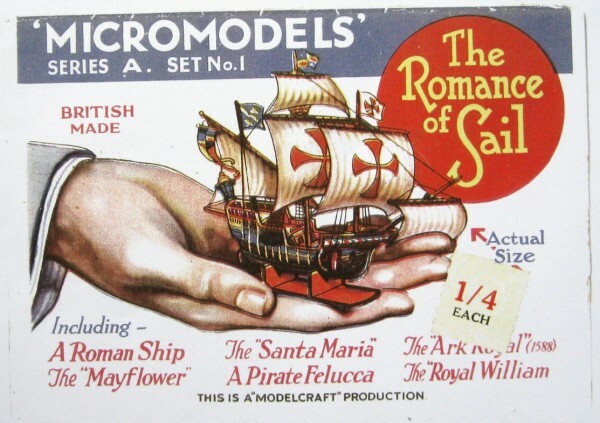 The colours of the re-issue are not quite as rich as the original. 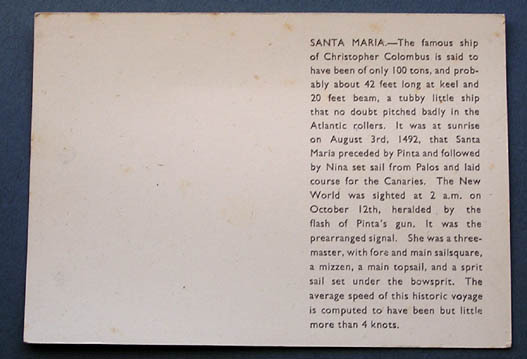 The re-issue cards lack the text on the reverse.